While Lumia 710 owners learned the hard way final decisions on future software updates for devices rests with the carriers, Microsoft is announcing their life-cycle for Windows Phone 8. Microsoft has generally avoided placing specific timelines for supporting devices, but has now confirmed that Windows Phone 8 will be supported through July 8th, 2014, and Windows Phone 7.8 supported through September 9th of next year. Those dates line up with Microsoft’s brief mention that they planned on 18 month life cycles during the original unveiling of WP8 last year. Ultimately, Microsoft’s attempts to push 18 month lifespans will be determined by both hardware and carrier support. While I’m never a fan of buying a device with the hope it will receive updates in the future, there’s clearly room for improvement in the industry as carriers have far too much control over updates. With Windows Phone 7.5 devices unable to upgrade to Windows Phone 8 due in part to kernel upgrades, WP8 devices should be capable of upgrading to the next iteration of Windows Phone. The next generation Windows Phone platform, codenamed “Blue” is expected to show itself to the world in time for the holiday season later this year. We still expect smaller feature improvements will roll out during the year, but major changes will wait until “Blue” releases. I do, I love it! My WP experience thus far has been leagues more consistent and reliable than my android experience. +1. Maybe in Redmond everyone can afford to upgrade every year and a half, but in the real world, you hope to get at least a couple years out of a phone. If this is Microsoft’s approach, you can kiss Windows Phone goodbye now. Then you can also kiss Android goodbye… they’ve had an 18-month support cycle on all new devices since 2011. They were trying to pledge that, anyway, since I think support was varying between manufacturers and was a lot less than 18 months. At least with Android I can root the phone and put Cyanogenmod on it for the latest update. Not the same with the Lumia 710 and any Windows 8 updates, even from XDA. Keep in mind that what this means is that the OS will not get supported past the date, not the phone. Most phones that have Windows 8 will be upgraded to Windows 9 when that debuts. A phone that’s OS is not supported by the manufacturer but is supported by the carrier is still “not supported” as it won’t receive any further software patches, and that’s what a smartphone is all about, I don’t care how you spin it. And pardon my cynicism, but you mean that the phone will be upgraded from Windows 8 to Windows 9, similar to how the Windows 6.5 phones were upgraded to Windows 7, or the Windows 7.5 phones were upgraded to Windows 8? I see your point, but pretty much all indicators seem to suggest that Microsoft will make the two compatible. All the rumors and speculation said that the Nokia Lumia 710 would get the Windows 8 upgrade too……until MS pooped on those indicators. I really like the Windows phones but based on history, I’d expect MS to abandon current phones in favor of the new phones when it comes to updates. I’m not sure you’re getting it. Let me try and explain it for you. Windows XP support will end next year. That means they will no longer support THAT version. This does not mean, however, that they will no longer support Windows. If you have a computer that is currently running XP, provided you have capable hardware, you can upgrade to Windows 7 or Windows 8. My Lumia 810 WILL be upgradeable to Windows Phone (Next) whatever that happens to be. No, I don’t think YOU get it. Let me try and explain it for you. Hardware running Windows Phone 6.5 was not upgradable to Windows Phone 7. Unlike a desktop PC, I can’t upgrade parts of it to make it compatible. Even the newest Windows Phone 6.5 hardware failed to be compatible with Windows Phone 7 because Microsoft changed the requirements of button layouts or some stupid crap. Not a single Windows Phone 6.5 device was CAPABLE of being upgraded to Windows Phone 7. Windows Phone 7.5 devices were similarly INCOMPATIBLE with Windows Phone 8. While there WERE a (very) small number of devices that went from Windows Phone 7.5 to Windows Phone 8, that number is so small I can count them on my fingers. Again, this change was at Microsoft’s whim, not for any real technical reasons – the hardware was more than technically capable, after all. Your Lumia 810 WILL be upgradable? I’m not holding my breath, and you shouldn’t either. MAY be upgradable, I’ll give you. But their track record is pitiful at this point. Who is to say that Windows 9 (or Next or whatever they call it) is not going to do this again? As for your wonderful explanation of support for specific versions of Windows, I do get it. Windows XP support ends next year. But general Windows support continues. However, with the end of XP support, there will be no more security patches, service packs, or feature updates to the OS. The same is true for Windows Phone products that are no longer supported. So when I buy a phone, I get 18 months of use before it’s no longer supported by the jokes at Microsoft. No more security updates, patches, or anything for it. That creates a 6 month “Danger Zone” condition where, if I use my phone for longer than 18 months (as most people will, if they’re on a 2 year contract), the last 6 months we better hope and pray that there isn’t a security concern with the underlying OS, because it will go UNPATCHED. And as I’m SURE you’re aware, Windows is not a very secure OS to begin with. Take a look at the other side of the fence – Android. Google supports Android for 18 months, also, however the OEMs are the ones who actually develop the ROMs. This means that Google gives them the source to Android, the OEM compiles it themselves, with whatever additions they wish to make (TouchWiz, Sense UI, Feature X, etc), and that is what is installed on the phone. The OEM has the ability to patch security holes in their specific ROMs, long after Google has discontinued support for the specific tree of Android that the phone is running. Microsoft does not provide the source code to Windows Phone to the OEMs for them to compile themselves – thus, all patches for Windows Phone must come from Microsoft in conjunction with the OEM. Once Microsoft ends support, that is the end of the line. If im not mistaken….the hd2 was able 2 support wp7 and android. They just went the iphone route but with poor execution imo. Don’t let the 18 month support cycle sway you in one direction or another… Android has the exact same thing (promised support for 18 months on new devices), enacted back in 2011. Windows phone 8 users just got dumped on, for real…Well, at least you know what you are getting into…. Android users also got dumped on, for real, back in 2011. This is just par for the course for all smartphones now. ok, maybe I didn’t read the whole thing…here is MY take on it. Please correct me if I’m wrong. in other words, they will make updates available for the OS. But it’s up to the carrier to continue making those updates. To quote an anandtech article: ‘Unfortunately, time has revealed Windows Phone 7 for what it was: a transitional offering that was practically end-of-life when it left the gate. 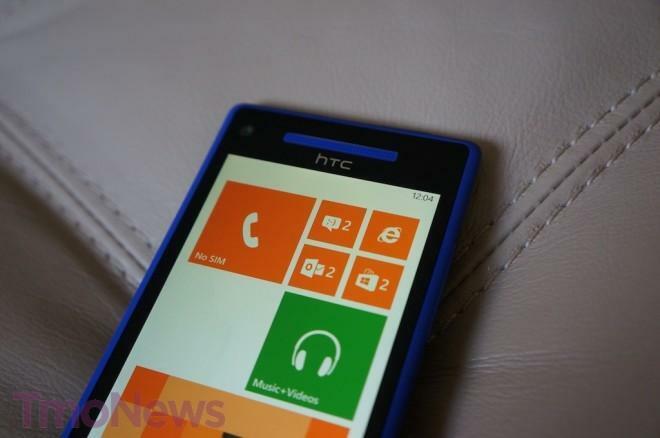 Windows Phone 8 is Microsoft’s real long haul darling…’ This is happening to windows phone 8 too. Understanding M$ wants to prevent fragmentation, they are actually causing a hair more. Early adopters of windows Phone either love it or they are in that transitional period, where their next device may be of a different offering (iOS, Android or Blackberry). To willfully ANNOUNCE that support will STOP on next year and ‘Distribution of the updates may be controlled by the mobile operator or the phone manufacturer’ Means that as soon as carriers OR operators turn their nose away…the device is done. Imagine customer NERO going into the store, 5 months from now, committing to a device for 2 years and low and behold, NO MORE SUPPORT after 1. That customer is carrying a device and will turn their nose up to that lifecycle. Buy a future proof device. Iphone and Certain Android devices fit the bill. There has yet to be an offering of a windows mobile device that will retain value AFTER 1 year. in the end, I’m not saying it’s a bad device. I’m saying you know when your EOL is and expect nothing more. The real question here is whether the carrier will buy in to this, as typically they’re the ones who are selling the device. No one is losing support. Where does it say that? oh well .. even though this is technically not true, consumers won’t care about the incremental update that they’ll likely still see despite the news suggesting support will end. My understanding is that any 8.x update falls within “Windows Phone 8” so the support for all of it, even all the small updates, ends July 2014. I don’t think it necessarily means that WP8 devices won’t be able to upgrade to WP9… WP8 with the new kernel was supposed to bring Windows Phone up to date anyway. There really shouldn’t be an excuse for yet another un-upgradeable major OS release. Ok then, explain how Galaxy 2 and the original Galaxy note users were left behind. Definitly not like Win phone 6.5, 7.0. 7.5 and now 8.0 users. No new apps for them. And. No SD card slots in the top models. Microsoft wont even update Internet Exlorer foe the earlier models. If I spend 500 to 700 dollars for a phone I expect it to last more than 18 months. hey you won’t get any argument for me .. lol .. just saying that there are plenty of Android devices fragmented .. most aren’t even on ICS let alone Jelly Bean right now. but you’re right .. this is much worse on the WP front. I’ll just wait for blue. The windows phone I want isn’t available on T-Mobile anyway. David you omitted one big info!! Yes WP8 will get support till July 2014 but will get the next major update being WP 8.5, WP 9, Windows Blue or whatever they call it. Then once that happens it will start another cycle for the OS version. That’s why WP 7.8 will get support till September 2014 and WP 8 July because 7.8 came out later. Hope you’ll update the article to reflect that. Wait…so 8 support will end before 7.8? Did I read that right? As long as MSFT or some 3rd party delivers selectable tones for SMS, I’ll be happy. My abttery life on the ATIV S (SGH-T899M) has bben impressive.